It had to happen! If Google+ wants to seriously compete with Facebook, they had to introduce games too! And that is what has exactly happened. Google today announced the addition of Games to Google+, the hottest new social site around. 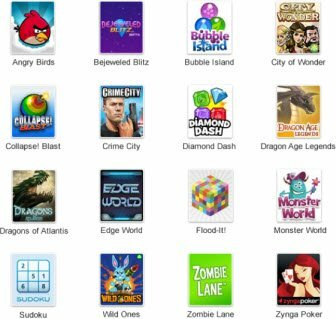 To begin with, you will now be able to play games like Angry Birds, Bubbled Island, Crime City, Edge World, Zombie Lane and more, but many more are expected to be added over a period of time. When you are ready to play games, the Games Page will be waiting. You can comfortably share your latest high score; your circles will only see the updates when they’re interested in playing games too. If you dont like games, it is easy to ignore them. Google is taking Google+ seriously and hoping that its gambit pays off and that it does end up becoming a serious contender for the king of social sites crown by dethroning Facebook. Whether they succeed or not, only time will tell. Its a worst idea. Bcoz the games are mostly the same games in Fb. So most of the people hav completed most levels in any game in Fb and they don’t play the same game from first level. Where is it !! I do not see it anywhere !! !